Angel L. Lugo is the co-founder, co-owner, and Chief Executive Officer for Lugo Vantage Solutions, LLC. He is responsible for the overall LVS business operations, business intelligence, business development, and client management especially focused as a senior consultant in healthcare services. Angel is an experienced & accomplished senior executive leader, supervisor, and administrator. 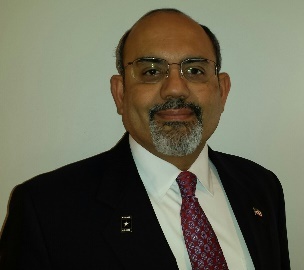 He is a board certified healthcare executive with expertise in training, operations, human resources, DoD programs, governance, and administrative management. He earned an excellent performance record during 30 years in numerous authoritative executive positions leading small/medium organizations, large staffs, and groups/teams, of diverse professional and support personnel. Angel is an expert at analyzing/communicating requirements and objectives for enterprise-wide programs including establishing policies and procedures, performance standards, evaluating program initiatives and effectiveness, ensuring compliance, and conducting strategic planning. He is a respected leader in transition & integration actions. Angel has expert knowledge of management tools, assessment methodologies, and project management. He is an expert in Military Health Services. Jaime "Jimmy" Lugo is the co-founder, co-owner, and Chief Operating Officer for Lugo Vantage Solutions, LLC. Jimmy is an experienced senior leader, supervisor, and administrator with 30 years of experience with the U.S. Army. He is a professional with expertise in training, operations, human resources, governance, and administrative management. Jimmy has an excellent performance record in numerous authoritative executive positions leading small/medium organizations, large staffs, and groups/teams of diverse professional and support personnel. He has strong analytical, communication, organizational, problem solving, leadership, and critical thinking skills. He has a strong background in Logistics Operations, International Relations, personnel recruiting, development and training, and strategic/operational planning. He is an expert in coordinating and communicating complex concepts and staff actions at the highest levels of the Department of Defense.